The IZT COMINT Simulator is ideal to test complex COMINT & DF Systems and to train operators.This system provides the possibility to test high-resolution stationary and mobile Direction-Finding receivers to determine their accuracy and whether they can correctly detect and interpret all types of radio signals. The IZT COMINT Simulator is the perfect instrument to develop modern digital wideband sensors, direction finders and jammers. 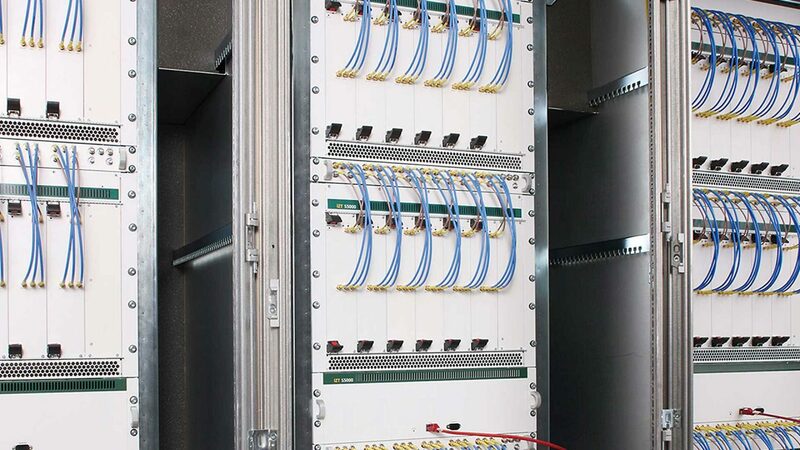 It represents a unique digital signal source platform for generating time variant, complex and realistic RF signals at multiple outputs. It can also be used to train operators of COMINT systems in the correct use of their equipment and for mission planning purposes.